There are so many things in our lives today that are built to cater to our every need. So why is it that our homes are so slow to follow suit? 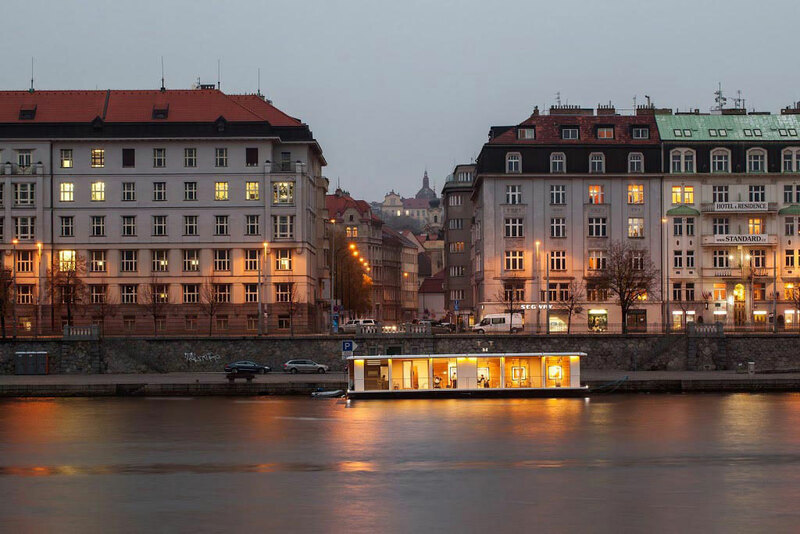 Enter Port X, a unique floating home by Atelier SAD, of Prague, Czech Republic that can adapt to our ever-changing daily needs. 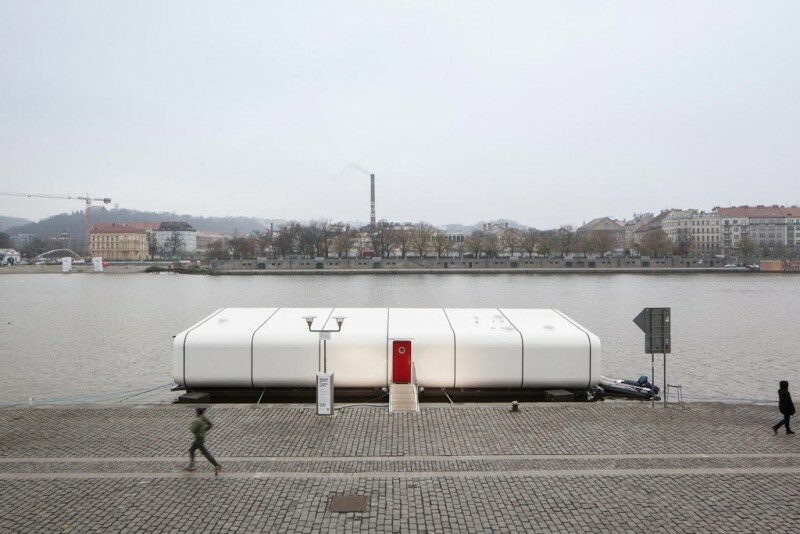 As SAD states, Port X is an experiment in flexible architecture. 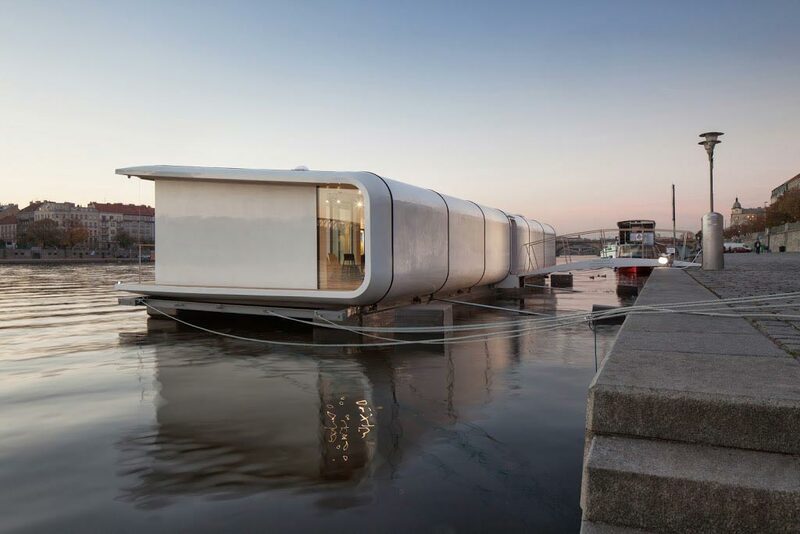 The house’s buoyant catamaran design is the first indicator as to just how flexible this residence actually is. 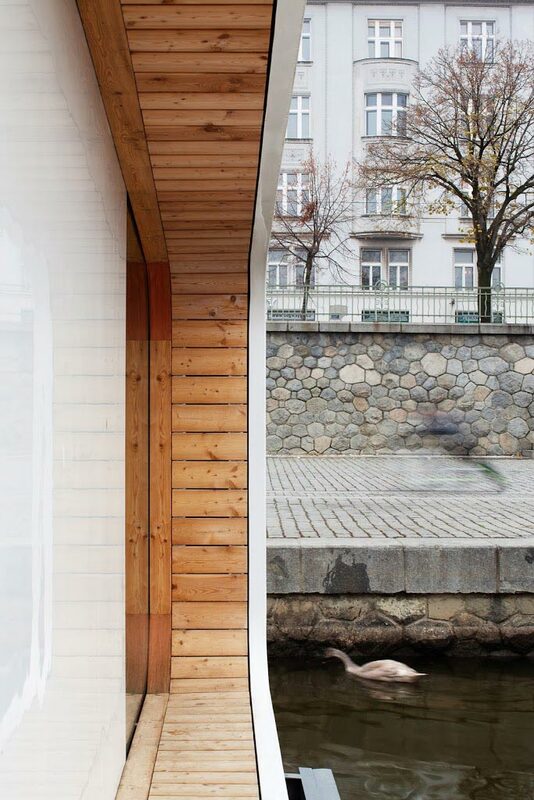 Port X features a C-Frame, shed roof design, wherein the primary rigid structure of the house literally forms a semi-load bearing “C” shape. 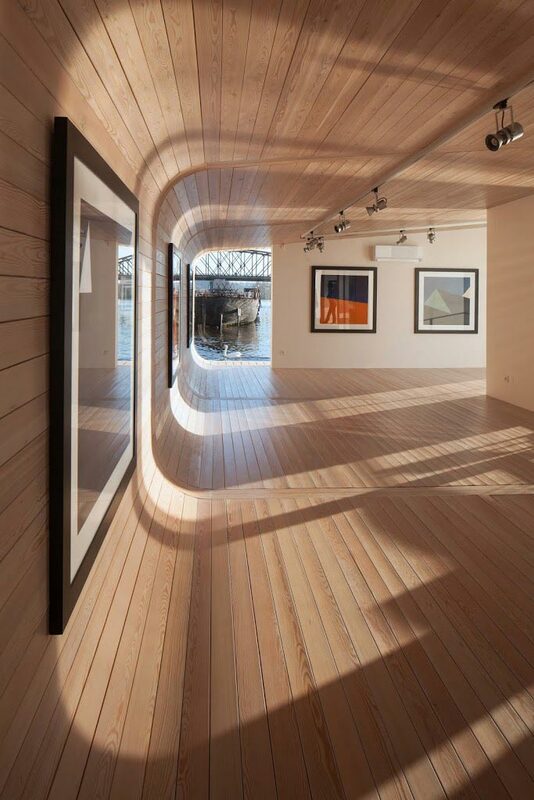 Not only does this design echo the lines of boat hulls, but it also allows for the three exterior walls of glass to be as opened to the outdoors as possible. 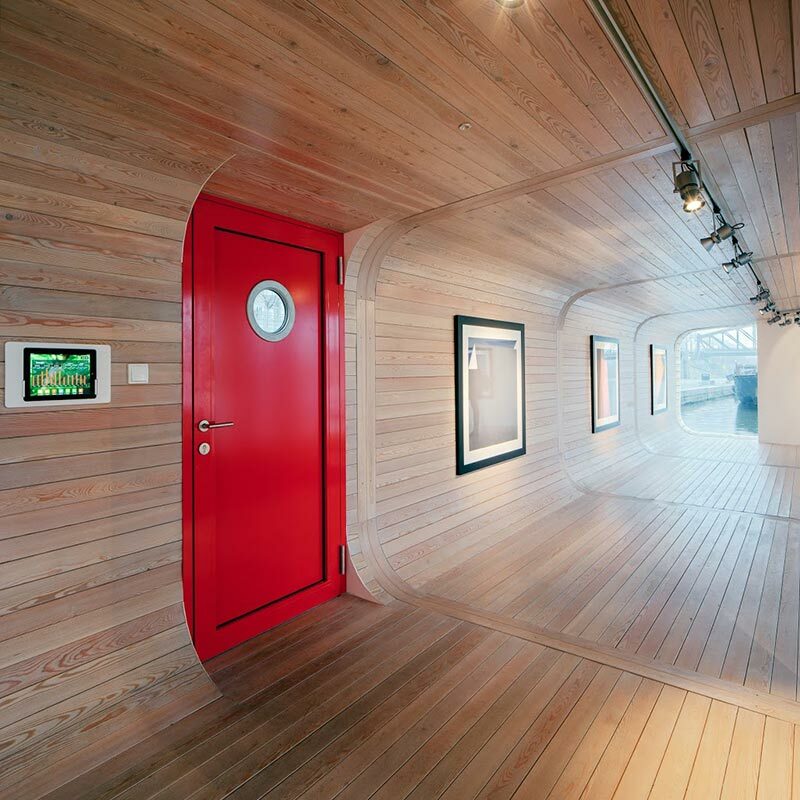 Just beyond the bright red port entry door, the insulated composite structure gives way to interior warmth made possible by the generous use of tongue and groove woodwork. The woodwork wraps around the inside surfaces of the C-Frame and is accented by track lighting which in-turn is subtly offset by off-white divider walls. These design elements, when combined with Port X’s wraparound terraces and walkways, create a comfortable, free flowing atmosphere. The concept unit features a 1,076 square foot floor plan with a 538 square foot terrace. 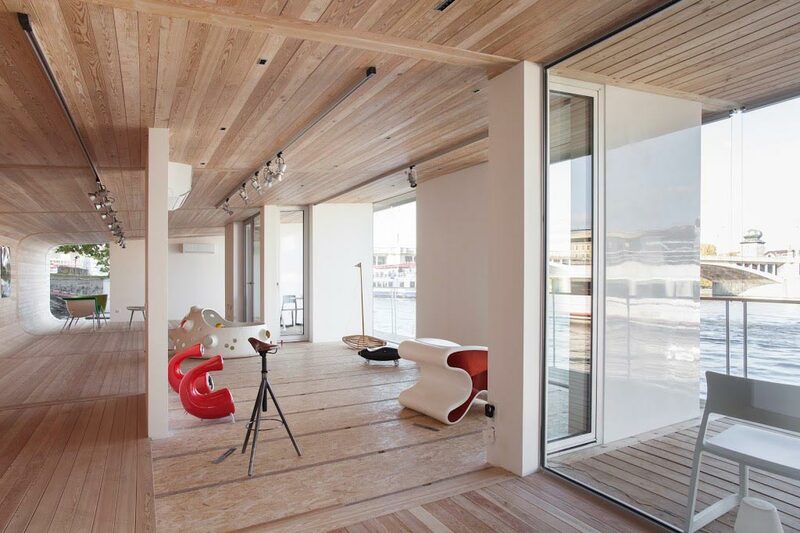 However, in keeping with the fluidity of each homeowner’s needs, Port X can be assembled module-by-module – allowing clients to “build as they grow”. Four modules can easily become five, and five modules can easily become six. As your family and your demands expand, so can the Port X.